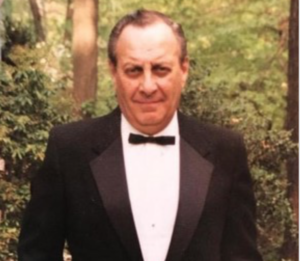 TATEN ISLAND, N.Y. — Jack Deitch, of Todt Hill, an attorney and staunch community activist who played a major role in establishing the Greenbelt Conservancy, died Thursday in Staten Island University Hospital, Ocean Breeze, after a short illness. He was 90. As an attorney, Deitch had a legal practice based in Manhattan, handling criminal, family and personal injury cases before retiring in 2001. He was a champion of “the little guys” and always fought to defend civil rights and liberties, according to his family. Deitch was known for his committed involvement to community issues on Staten Island. He served as the president of the Todt Hill Civic Association, a member of the board of the Protectors of Pine Oak Woods, a member of the board of the Art Lab of Staten Island and a longtime member of Community Board 2. As a member of Community Board 2, Deitch was instrumental in creating the Greenbelt Conservancy and received numerous accolades for his support of environmental issues. He remained an advocate for the site throughout his life. “The Greenbelt belongs to all of us — not just the environmentalists. We are its trustees. We can utilize it in any non-destructive way we may choose. Some of us may hike in it. Some of us count birds. We all look at it; we all breathe it and we all revel in its magnificence, even if we never set foot inside it. Raised in the Bronx by his parents, Edith and Samuel, Deitch attempted to join the military at 16 years old during World War II, but was rejected due to his age. At 17, Deitch enlisted in the Marines and was stationed in Nagasaki as part of the post-war occupation. Upon his return, Deitch attended Brooklyn College and Brooklyn Law School on the GI Bill. As a college freshman with fantasies of a possible career as a baseball player, Deitch faced future Major League Baseball pitcher Ralph Branca, of “Shot Heard ‘Round the World” infamy, at the plate during tryouts. The encounter was highlighted in a piece published in the New York Times Metropolitan Diary in 2016. Deitch and his wife Irene were active world travelers who had visited all corners of the globe. He enjoyed deep-sea fishing expeditions with his son, Jonathan. He was also a talented artist and designer who regularly submitted entries to the New Yorker’s Cartoon Caption Contest. One of his award-winning entries was later published in a hardcover book of New Yorker cartoons. Deitch was a devoted family man. In addition to Irene, his wife of 62 years, he is survived by his daughter Michele Deitch and son-in-law Michael Sturley of Austin, Texas; and son Dr. Jonathan Deitch and daughter-in-law Dr. Cynara Coomer of Staten Island. He is also survived by four granddaughters: Jennifer and Elizabeth Sturley and Olivia and Emily Deitch. Arrangements are being handled by Cherubini McInerney Funeral Home in Port Richmond. There will not be a funeral, and the family will celebrate his life privately at Deitch’s request. In lieu of flowers, the family requests donations to the Art Lab of Staten Island. I’m so sorry to hear about your family member’s passing. When one of my family member’s died I gain comforted from what the Bible promises. Revelations 21:4 states: “and he will wipe out every tear from their eyes and death will be no more, neither her will mourning nor outcry nor pain be anymore. The former things have passed away”. What a wonderful hope that God primises that will occur in the near future- the resurrection of the dead to live on earth under perfect conditions! My hope is that you and your family are comforted by what the Bible’s hope for the future will bring. My condolences are with you and your family at this time. We were deeply saddened to hear of Jack’s death. Our condolences to you and your family.